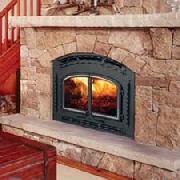 Wood Fireplaces make a beautiful focal point for any room. 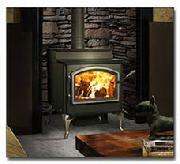 They can provide heat for the whole house, or be used to heat a new addition. 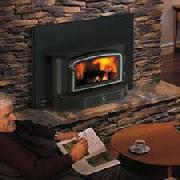 Have an old drafty fireplace? 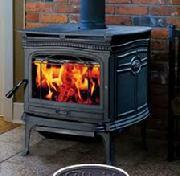 Replace it with a new attractive, efficient, and clean heater. 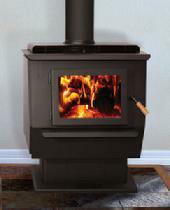 Wood Burning Stoves can be put anywhere in your home with an existing chimney. 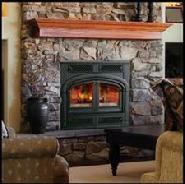 Or, in most cases, an all fuel burning chimney pipe can be installed in your preferred location. 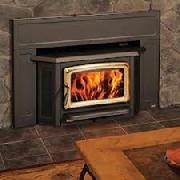 They work great for family rooms or basements and can be used as a supplemental heat source for your home. 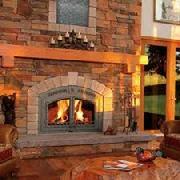 Wood Burning Inserts offer the security of an alternative heat source, as well as offer clean, efficient heat. 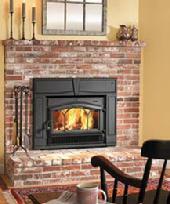 Consider an insert if you need to upgrade a drafty fireplace.